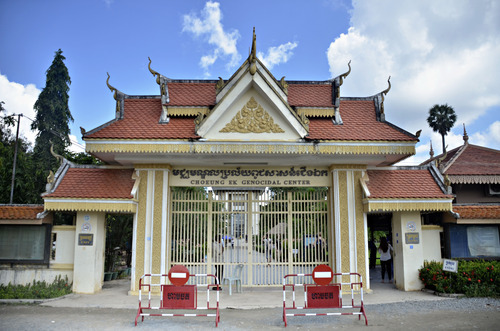 After we explored Siem Reap and their majestic temples, we immediately travelled back to the biggest city in and capital of Cambodia; Phnom Penh. Our first stop had an ominous name to it. 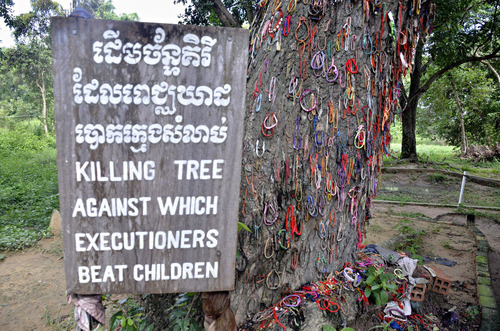 The Killing Fields. I didn’t know what to expect once we were there, so I had imagined a museum type of destination. 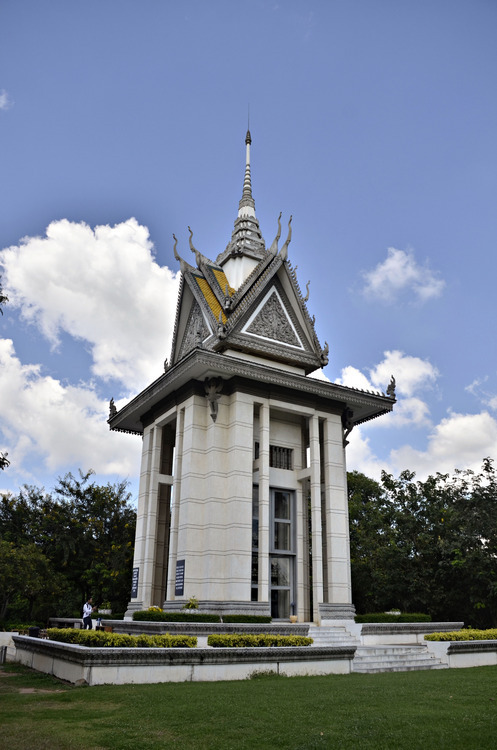 But once our tuk-tuks drove us out of the downtown area and into the outskirts of Phnom Penh, I was beginning to think we really were going to an actual killing field. Once we arrived, we were greeted by a fairly bright looking gateway. For a minute, I was deceived by how extremely tranquil and scenic the place was! But little did I know that when I took the map/brochure, the record-player, and headset from the entrance, I was in for an emotional roller coaster ride. 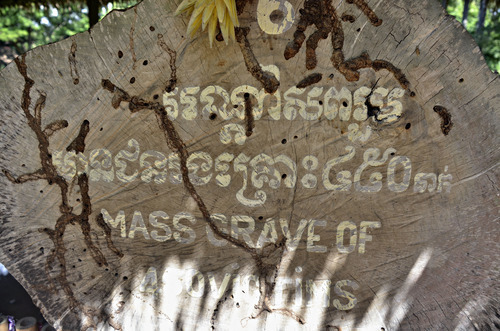 The famous Killing Fields of Phnom Penh, despite the lush greenery, was a site of unspeakable horror. 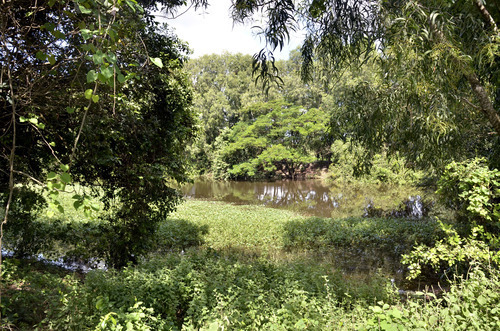 Between the years 1975 and 1978, about 17,000 men, women, children, and infants were detained, tortured and killed here. The place had a unique way of ‘showing you around’ the area. Like I mentioned, we were given headsets and record players at the entrance after we purchased our tickets. 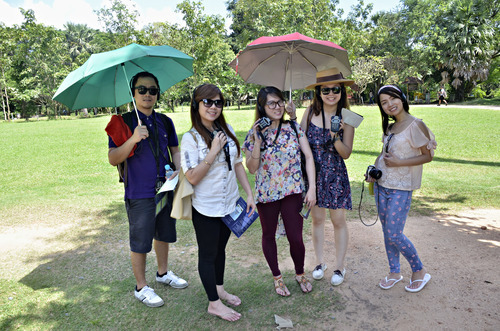 It is basically an audio tour that included stories by those who survived the Khmer Rouge. There was also an eerie account by an executioner about the techniques they used to torture and kill defenceless women, children, and infants. 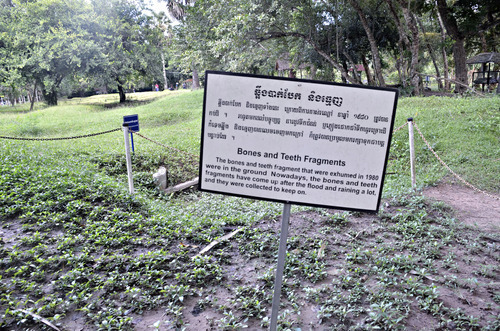 As we walked along the dirt pathways, we would sometimes notice pieces of cloth on the floor. When we were informed by our audio tour and the numerous informative sign posts around the memorial that these pieces of cloth may have belonged to the dead, we began to carefully choose where we tread. 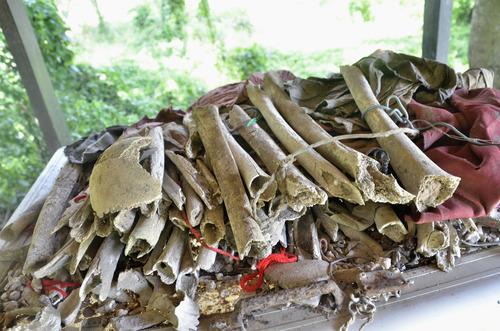 It was also said that sometimes, bone fragments and teeth would come up to the surface of the ground due to the shifting of the earth by natural causes. 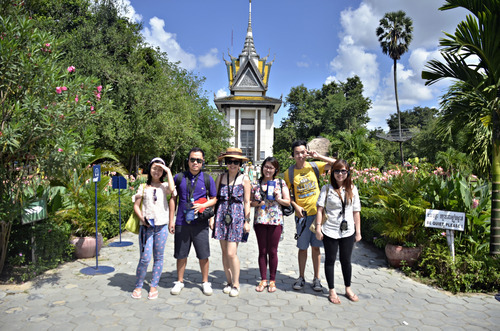 The tour ends at the Memorial Stupa. 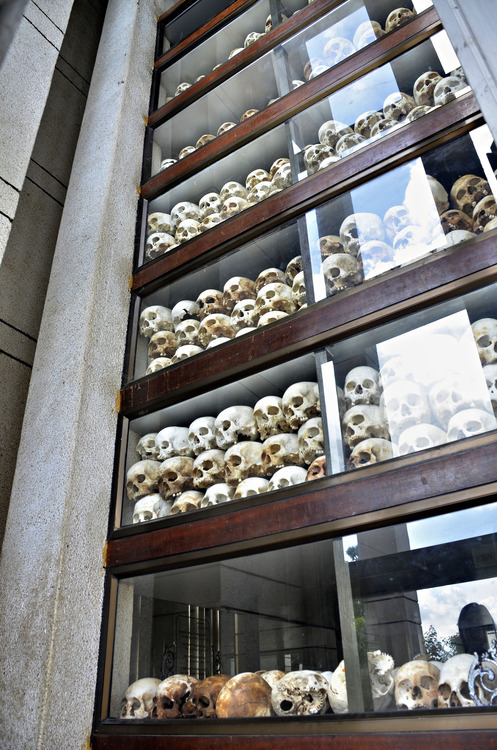 It is a beautiful sight to behold and, inside, it shelters more than 8,000 skulls that are visible behind glass panels. It is a peaceful place today, masking the horrors that unfolded here less than three decades ago. This stop was both eerie and educational. 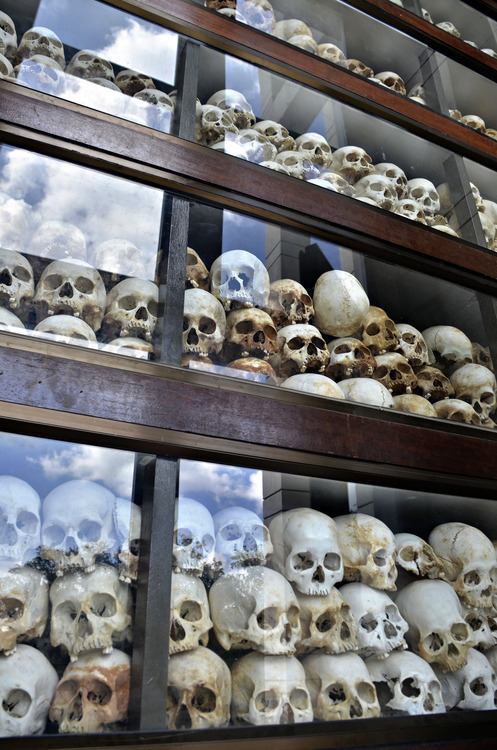 Never before have I heard about the Khmer Rouge. And never before have I hated a name so much, thinking about it makes me want to smash things against a wall. (That name is Pol Pot. 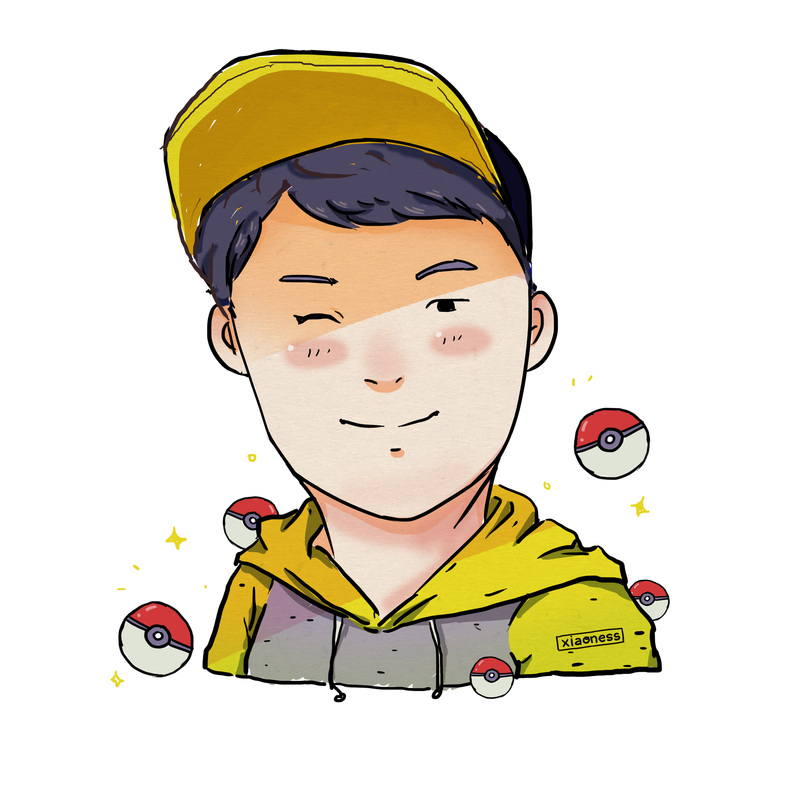 The leader of the Khmer Rouge.) But this was a very appropriate destination for us that time, considering it was on November 1, and we would normally be at the cemetery with family for a day of prayer for the dead. I hope the souls of those who were unfortunate enough to be victims of this massacre has found peace. 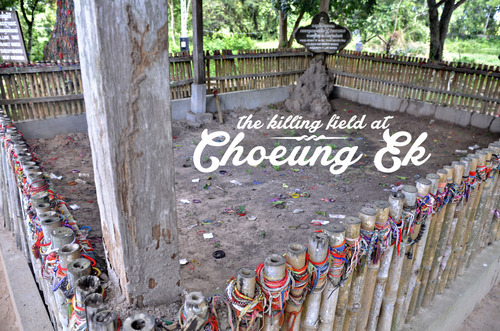 Note: The italicised parts in this post are taken from the Lonely Planet website’s entry about the Killing Fields of Choeung Ek. Head on over to their site for more info about the memorial.